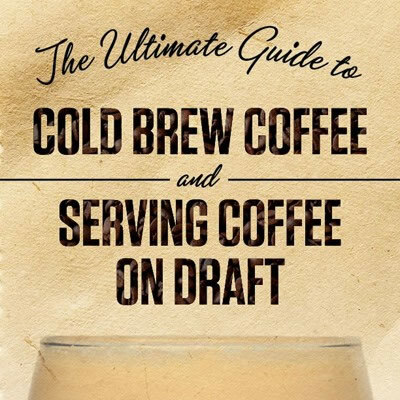 At Keg Outlet, we've always liked to take things to the next level. As homebrewers (beer), it only took a couple batches before we got sick of cleaning bottles for our brew before we moved onto kegs. The same can be said about kombucha. After brewing our first batch, it quickly became obvious that 1) we love kombucha, and 2) that it would be so much easier if we just put kombucha into a keg after brewing. 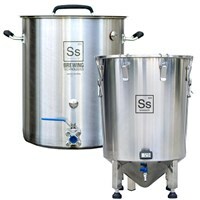 That led us to start experimenting with brewing kombucha in our larger scale beer gear. Here are some of the best setups that we've come up with for brewing and fermenting kombucha. 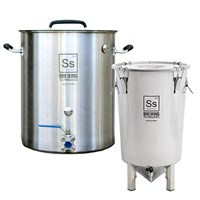 Keg Outlet is excited to now offer a full line up of Kombucha Brewing and Fermenting Kits! 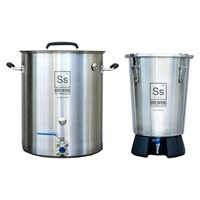 Everythign from Stainless Steel Kombucha Brewing Kettles, Stailness Steel Kombucha Fermenters, Gas Burners, Kombucha Kegs, Kombucha Draft Kegerators and any kombucha draft equipment you may need to maintain and fix your existing draft system.